Hello everyone so I have a very exciting post for you today! I was sent 2 bottles of the same nail polish! You might be thinking why the same? But in this case I got to review one and I have one to give to one of my lovely readers! All you have to do is try and guess the brand of the nail polish pictured. If you guess correctly you get the second bottle for yourself! 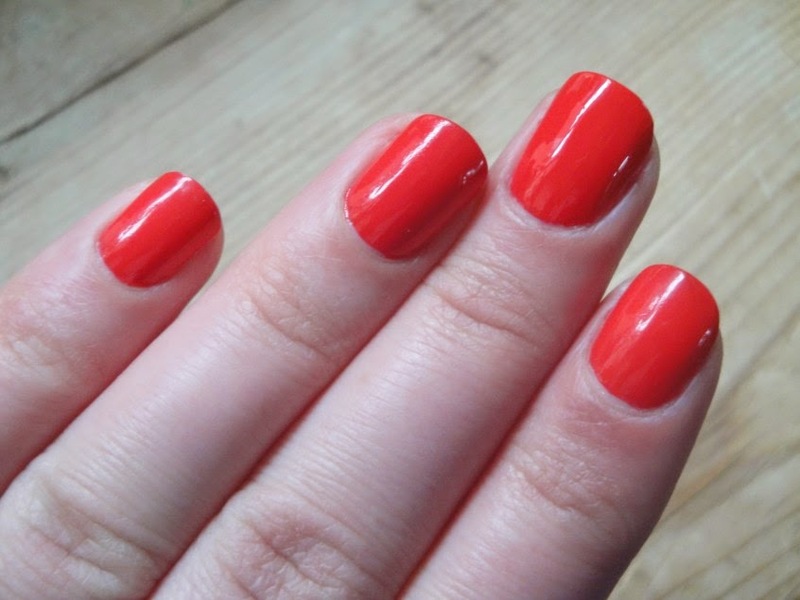 This gorgeous nail polish is a coral shade with red I think it's such a great Summer colour and will look good in the summer sun! I'm wearing 2 coats in the pictures but I could have got away with just one, I also don't think you need a top coat as its very glossy already! If you want to have a go at guessing the brand of the polish for a chance to win your own follow the instructions below and I'll send the winner a bottle to try out! If there are more than one of you with the correct answer I will draw a name out of a hat and I will contact the winner as well as announcing it on the blog! 2. Bloglovin or GFC username. This is open to the UK only and the closing date is the 8th June! I will also be tweeting about the giveaway for people to #guessthepolish so you can enter on twitter make sure you are following @makebeautyblog on twitter and you can enter up to 3 times a day! My guess is Beauty UK?